It has been an interesting week. Shipped "Sunflower with a Passion for Color" to Lowell, got busy finishing up some pricing on items that I have dyed to sell, started a baby quilt, reorganized my desk and "To Do List", was feeling accomplished with what I was getting done. 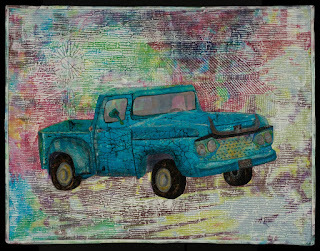 Then I got an email that there is a possibility that one of my quilts may be published in a magazine. I'm not telling you which one, or what publication. I don't want to jinx it or speak too soon, but it's fun and exciting to have one of my quilts recognized and considered. So you will just have to stay tuned for the news! 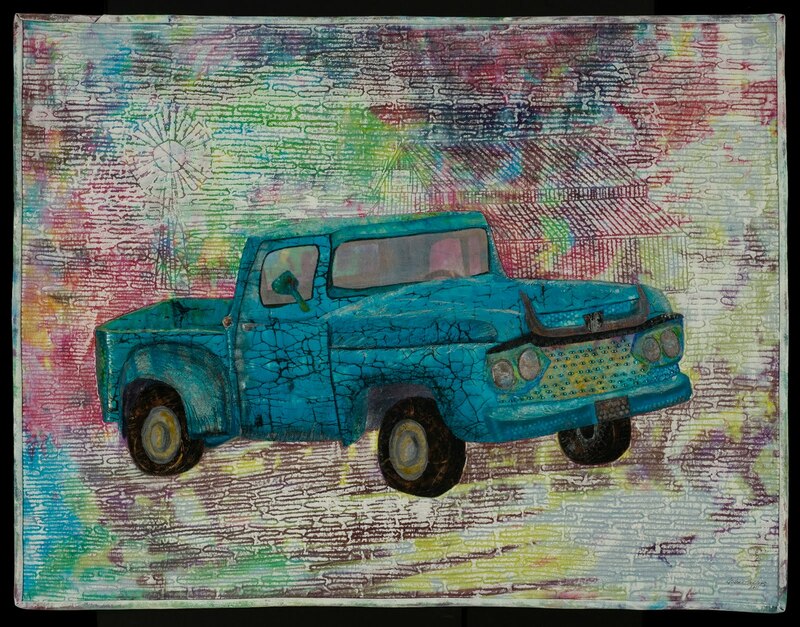 So, with my feet barely touching the floor and walking around saying "Holy Cow", I packaged up "Outside In" and the "Truck Quilt" to ship to Houston for judging. I have so much on my plate right now, I had to get some things off the "To Do List", so that there is room at add other things, you know what I mean! Have a great weekend everyone! I'm off to finish cleaning the house. Keeping my fingers crossed for you on all fronts! !